Let the exhibitors do the work! 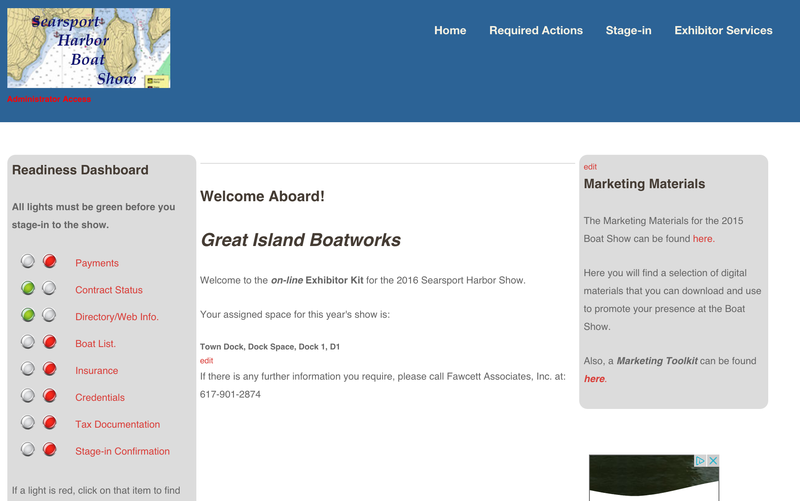 The "Exhibitor's Portal" allows the exhibitors to login through a secure connection and provide you with the information you need to manage the show. This saves you time and effort and improves the accuracy of the business data and the information presented on the show web site or show guide.